When Coolidge announced that he would not run again the road was open for a new Republican nominee. Herbert Hoover was nominated on the first ballot at the Republican convention in Kansas City. After World War I, Hoover was the food administrator for Europe and Secretary of Commerce in the Harding and Coolidge Administrations. In his acceptance speech, Hoover stated that: "We in America today are nearer to the final triumph over poverty than ever before in the history of this land... We shall soon with the help of God be in sight of the day when poverty will be banished from this land." Alfred Smith was nominated by the Democrats on the second ballot, at their convention in Houston. Smith was the first Roman Catholic to run for the presidency. 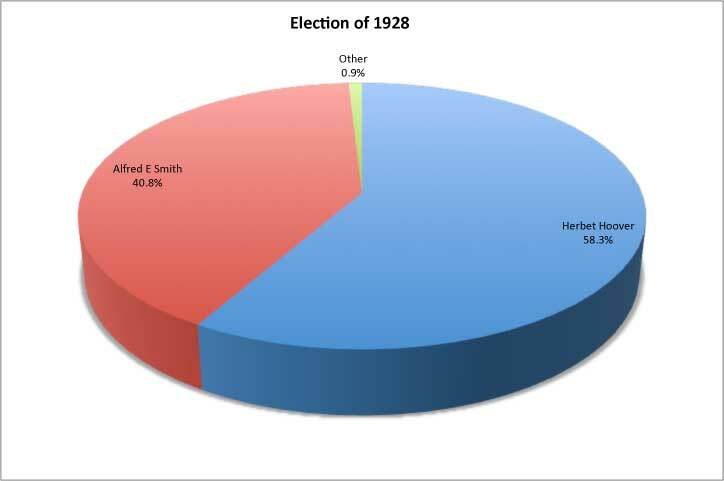 The significant issues in the 1928 campaign were religion and prohibition. Attacks were made against Smith, claiming that if elected, he would make Catholicism the national religion. Smith campaigned against prohibition, while Hoover supported its continuation. One of the slogans used by Hoover campaigners was "A chicken in every pot and a car in every garage." This was the first campaign in which radio played an important role. 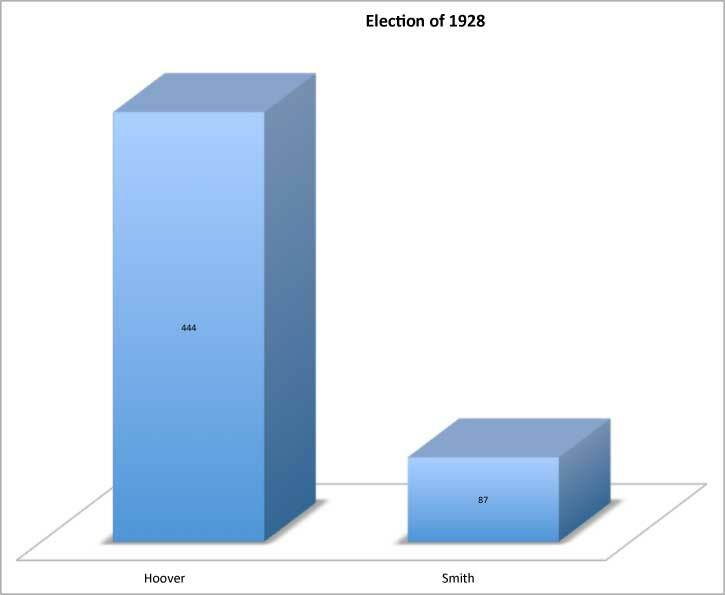 While Smith was a better campaigner in person, Hoover presented himself more effectively on radio. 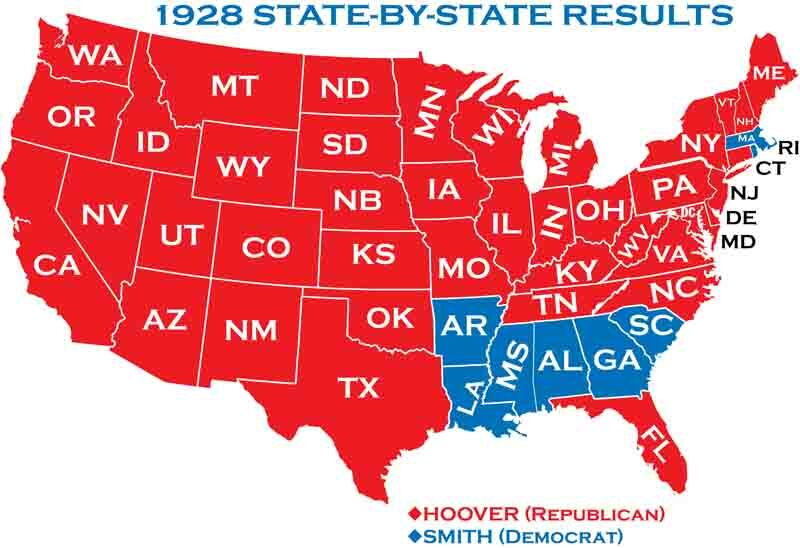 The combination of the continued prosperity, combined with a country that was not yet ready to elect a Catholic President ensured that Hoover went on to an overwhelming victory.